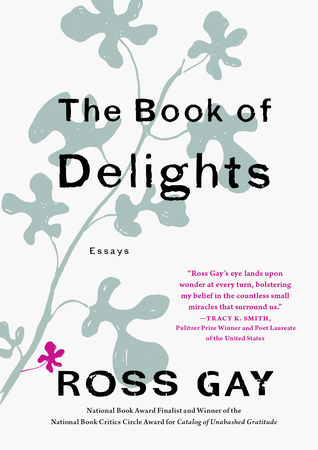 Ross Gay is the author of three books: Against Which, Bringing the Shovel Down, and Catalog of Unabashed Gratitude. He is also the co-author, with Aimee Nezhukumatathil, of the chapbook "Lace and Pyrite: Letters from Two Gardens," in addition to being co-author, with Richard Wehrenberg, Jr., of the chapbook, "River." He is a founding editor, with Karissa Chen and Patrick Rosal, of the online sports magazine Some Call it Ballin', in addition to being an editor with the chapbook presses Q Avenue and Ledge Mule Press. Ross is a founding board member of the Bloomington Community Orchard, a non-profit, free-fruit-for-all food justice and joy project. He has received fellowships from Cave Canem, the Bread Loaf Writer's Conference, and the Guggenheim Foundation. Ross teaches at Indiana University.